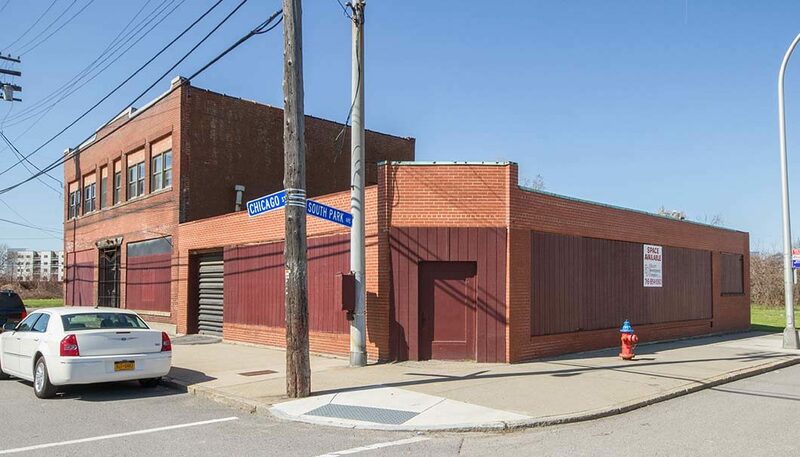 Located on the corner of South Park and Chicago this flex building with a large storefront has potential for a bar/restaurant, retail or office use. Includes warehouse space with overhead door access. Large adjacent field could be converted into a parking lot. Close to downtown Buffalo and across from the Buffalo Creek Casino. Located on a NFTA-Metro bus line with easy access to the I-190. 1st Floor has 4,000 sf. 2nd Floor has 1,678 sf.